Overflow Radio began in Dec 1986, created by Garry Lee after rising from the ashes of several previous pirate radio stations. Originally known as Freedom Overflow, it soon gathered a local following on FM, as at the time there was no localised radio in the area, or anything on the bands that payed Alternative / Underground music. The regular format became predominently psychedelic, but also included most other forms of alternative music, such as Rock / Goth / Blues / Indie / Punk / Ska / Reggae and even the odd folk band. Local bands were also featured regularly and proved popular with listeners. There were also various gigs, parties & clubs run by The Overflow. Gigs included benefits for Greenpeace & Anti Poll Tax groups amongst others and club nigts included Power Rock & The Overflow Club, held at local music venues. The station ran for 15 years as a pirate station and eventually closed in early 2001, when I decided it was time to lower the skull & crossbones and start doing radio legally. So, The Overflow was re-created as a radio show! Since then, it has aired on many legal stations around the world including River Gibbs FM, Radio Seagull, Apple FM, Radio Sylvia, WCRP, Radio Mi Amigo, Anglia Online Radio, Radio Caroline (NL) and several others. 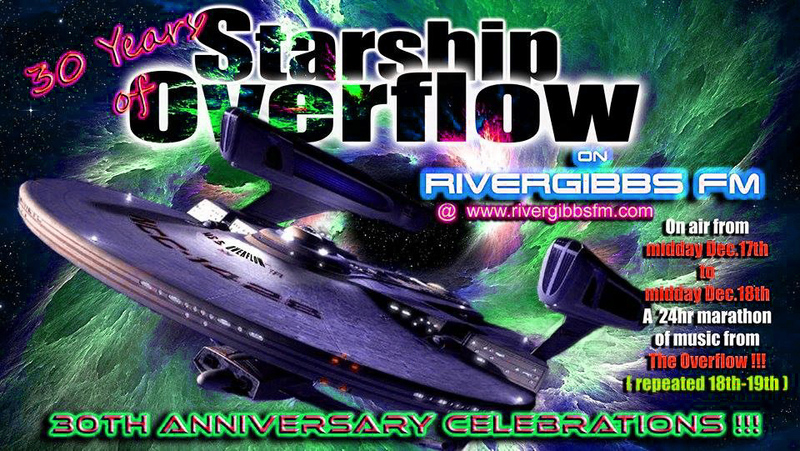 So as we approach our 30th anniversary in December, The Starship Overflow remains a big part of River Gibbs FM (based in London & Kansas), which has a fanbase in over 40 countries, as well as being aired regularly on Radio Seagull from The Netherlands & Radio Sylvia from Germany. Our official birthday, is Saturday 17th December, so to celebrate the occasion, we are hijacking River Gibbs FM for the whole weekend! Programmes will begin at Midday and continue right through the night until Midday on sunday 18th. Then the whole broadcast will be repeated over the following 24 hours, ending at Midday on Dec 19th. Programme output will include music played over the last 30 years, some of the original pirate dj's, guest dj's including solo recording artist Kevin Heard (Ex- Carpettes) & Tim Jones AKA The Reverend Rabbit from Census of Hallucinations, plus lots of history & clips from our days in pirate radio. To listen click here : www.rivergibbsfm.com Then click on the player of your choice. In the first hour, we take a trip back in time to where it all began and find out where The Overflow came from. Then in Hour 2, clips & music from 2 DJ's who were heard regularly in our early days of broadcasting. Taking us on a tour of the Starship Overflow, It's the return of Tim Rice. Mr.Rice joined the station in 1987, after previously appearing with Garry Lee & Jay Johnson on land-based Essex pirate Radio East FM in the early 80's. Guest presenter Kevin Heard makes a one-off appearance on The Overflow.. Primarily a solo musician, Kev has produced many kinds of Alternative music, including Punk & Space Rock and was also a member of 70's punk band The Carpettes. A special edition of the regular 3hr new releases show, with Garry Lee. The good Captain returns to the ship after a very long abscence, complete with full battle armour. Though there is no sign of his companion The Flying Hogfish! Expect some great old tunes & a few things more recent.... it's all in the Captain's bag!!! It's 24 years since Dingo Virgin last appeared on The Overflow. Despite all the changes in our world, good ol' Dingo looks & sounds exactly the same as he ever did! Though his moustache has grown considerably, so we've tied it around the mic stand now that we've finally got him here. Be sure of some choice tunes! More clips of music, madness & mayhem caused by various Overflow DJ's through the years. The Reverend Rabbit first appeared on The Overflow, just before the end of our days in pirate radio, back in 2001. Again a very talented musician, The Reverend has been a part of 80's band Punishment Of Luxury, The Rabbits Hat, Census Of Hallucinations & many other bands, as well as running the excellent underground record label Stone Premonitions. Music and memories through the night with Garry Lee & Nightwing. Founder of The Overflow and self confessed hippie Garry Lee takes you through the night with a selection of groovy tuneage, handpicked from the vaults of the last 30 years of The Overflow. Overflow's ONLY female DJ takes to the airwaves, to accompany you through the wee small hours.Nightwing's impecable taste in music alone, makes this show well worth being awake for! A second sermon for devoted followers of The Reverend. Well it is sunday morning after all! Back from his triumphant tour of The Starship Overflow, Timbo (NOT the old BBC Essex one) gives us an early breakfast in true Overflow style. Possibly the funniest show to ever grace the airwaves from The Overflow. DJ - L.Blitz frightened everyone's children, upset the adults and even affected the dog, with his classic 8AM christmas morning show back in 1987. You heard the Captain live on air yesterday evening between 8-9pm. Well here is how the man sounded back at the very beginning. Clips and music taken from his radio shows between 1987 - 1989. Brace yourselves for the final part of our History of The Overflow trilogy. Expect more laughs, lunacy & music, plus another selection of Overflow voices between now & 11am. 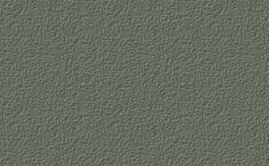 11.00 GARRY LEE - ONWARDS INTO OBLIVION! The final hour of our 30th birthday celebrations with Mr.Lee at the controls.